Charlotte is the largest city in the Carolinas and the 20th largest city in the United States. Charlotte became a major U.S. financial center. Consequently, many of the largest financial institutions, such Bank of America and Wachovia, are proud to call the city home. Multiple factors have helped Charlotte to become a banking giant that has progressively made Charlotte outgrow other banking cities. Thus, Charlotte became a leading financial center because of its concentration of financial institutions and resources that offer a wide diversity of size, expertise and organizations. However, Charlotte is not just a financial center but also a growing city developing all around. Queen Charlotte Statue in front of the Trade Center in uptown Charlotte. Every great city has a humble beginning, and Charlotte is no different. Charlotte’s rich history begins with its first settlement by Europeans in 1755. Travelers Thomas Polk and Thomas Spratt and his family were the first to occupy the future Queen city; these settlers built their house at the intersection of the Native American trading paths between the Catawba and Yadkin rivers (Charlotte, North Carolina). In Tomas Polk’s first decades of settling, the area became the community of Charlotte Town that was incorporated in 1768 as a town. In 1770, the assessors marked off the streets of the new town for future projects and development (Charlotte, North Carolina). Despite the settlement by these settlers, Charlotte is not named after them. Charlotte was instead named after the honorable German princess, Charlotte of Mecklenburg-Strelitz. This is why Charlotte is also often referred as the “Queen City” (Charlotte History). The Queen City was established, yet no one could predict that someday it would rise to become the nation’s second leading financial center. Its beginning as a financial center dates to 1799 when gold was first discovered in the area. The discovery of a 17-pound gold nugget in 1799 attracted many people to the area to follow the nation’s first gold rush (Charlotte History). The boom, however, was short-lived due to the gold rush in California, which caused many Charlottean opportunists to abandon the area. Even though the short-lived gold rush in Charlotte was a good start for the development of the city, it was not its major revenue source. Instead agriculture, mainly tobacco and cotton, was the major revenue provider for the region up until the Civil War. After the War, textile industries sprang to life when the city became a cotton processing center and a major railroad hub. Through the success of the railroads, Charlotte became the Carolina’s largest city and a Southeastern textile and distribution hub (Charlotte History). One example that illustrates people’s efforts to grow in a developing city is L. Worth Harris’ journey in the business world. Harris confesses his early determination to succeed by stating: “I made up my mind at a very young age that I was going to make money easier than my parents did somewhere along the line. Actually, when I took this business course is when I made up my mind that. . . . I really worked hard at that”. His words convey his understanding of the need for an education. Following this further he enrolled in business courses in order to learn how the business world worked. . Granted with the tools to succeed Harris launched forth on his journey. Next, Harris continued to describe that one of the only ways to grow was to move and expand. The following quote clarifies his theory of expansion: “I had made up my mind that I had to get out of it or borrow an awful lot of money and expand myself, or do a lot of merging”. But in order to do this it was necessary to have a vast number of resources. Harris enveloped all the components of a businessman. He possessed the inner and outer qualities that enable entrepreneurs to progress: his inner desire provided the motivation and strive to succeed in the business world. Through L. Worth Harris’s thoughts, a glimpse of Charlotte as home to ambitious entrepreneurs is captured. Not only is Charlotte home to many ambitious entrepreneurs, it is also identified as a fast growing city. Charlotte had 17,471 more people in mid-2007 than mid-2006, according to the Census Bureau. Recently, the city also ranked ninth in population growth, gaining an estimated 14,403 people from July 1, 2005, to July 1, 2006 (Curts). The city’s neighborhoods and development continued to expand with the addition of the LYNX light rail and streetcar system, new skyscrapers, suburbs, and top businesses. Additionally, Charlotte’s modern-day banking industry achieved prominence in the 1970s and 1980s, largely under the leadership of financier Hugh McColl. McColl was a master bank builder who later transformed North Carolina National Bank (NCNB) into a formidable national player that, through aggressive acquisitions, became known as NationsBank, eventually merging with BankAmerica to become Bank of America. Wachovia experienced similar growth, and was acquired by San Francisco-based Wells Fargo following the recent financial crisis. Today, Charlotte ranks second in headquarters of banking resources, only behind New York City. In early September, Bank of America, the largest U.S. bank, swallowed the beleaguered investment firm Merrill Lynch, while Wachovia considered a merger with Morgan Stanley. Despite most of the country’s hardships, Charlotte continues to rise, with twenty-eight construction cranes downtown. Charlotte will soon become the headquarters for East Coast Operations of Wells Fargo (Grunwald). Location is a primary factor in Charlotte’s development and success of a business. Fortunately, Charlotte is well positioned to handle many affairs. In 2008, Relocate-America.com chose Charlotte as the “Best Place to Live in America” based on criteria that include crime rates, jobs opportunities, and housing affordability. Charlotte was also acknowledged for its colorful lifestyles and new business opportunities, and was ranked eighth of the 100 Best Places to Live and Launch by CNNMoney.com. Charlotte attracts 500 newcomers every week, and one of four residents moved there in the previous decade (Charlotte, North Carolina). The reasons for these are the enthralling lifestyle and opportunities in the city such as outdoor recreation, diversions, a mild climate with four seasons, good schools, good jobs, business-minded people, and many others. Similarly, New York is a city of grandeur, and it is no surprise in why both these cities have grown to become major banking cities. An appealing city will never cease to attract new markets that create niches in the financial world. Charlotte’s economy is largely based on the financial industries. One of Charlotte’s newest affairs is international banking. Currently there are multiple banks in Charlotte that have international departments and offer foreign currency exchange, multi-currency loans, trade financing, letters of credit, money transfers and cash management. In addition to their 6,000 domestic branches, they operate branches and representatives offices in 30 countries including these financial capitals: Amsterdam, Antwerp, Beijing, Calcutta, Frankfurt, Hong Kong, Jakarta, London, Madrid, Manila, Melborne, Mexico City, Milan, New Delhi, Paris, Sao Paulo, Seoul, Shanghai, Sidney, Singapore, Taipei, and Tokyo (Leading Financial Center). International banking has allowed Charlotte set forth in its journey to become a banking giant. Bank of America Stadium in downtown Charlotte, NC, is home to the Carolina Panthers. Formerly known as Carolinas Stadium and Ericsson Stadium, the 73,500-seat football stadium was named Bank of America Stadium in 2004. For that reason, many fans now call the stadium “The Vault,” or “The Bank.” Photo by SchoolBus159. The business of Charlotte is indeed business. The city began as a trading post at the intersection of two Indian trails, hosted America’s first gold rush and first mint, and later blossomed into a transportation and textile hub. Charlotte’s white leaders agreed to desegregation relatively early, concluding that turmoil was bad for business (Grunwald). And local banks exploited North Carolina’s liberal acquisition laws to build the conglomerates that now dominate headlines. Today Charlotte’s nine Fortune 500 companies help run the city, not only by writing checks–Bank of America and Wachovia have pledged $15 million apiece to build new cultural centers–but also by helping to write plans (Grunwald). Michael Smith, the Center City partners lead, describes Charlotte as an ambitious city: “We’re a pro-business city like none I’ve ever seen. It’s true about Southern hospitality, but there’s a real hunger here” (Grunwald). The role of commercial banks in the economic development of a city plays an important and active role in its development. If the banking system in a country is effective, efficient and disciplined it brings about a rapid growth in the various sectors of the economy. Charlotte banks also lead the way in commercial and industrial loans. Six of the top ten banks in this category operate in Charlotte. A volume of approximately $186 billion in commercial and industrial loans and $31 billion in construction and land development loans are accounted for by Charlotte headquartered banks. Another component that is imperative in any banking industry is access to capital. North Carolina ranks tenth in the nation in number of venture capital loans made. These top ten states received eighty-three percent of all venture capital loaned (Charlotte, North Carolina). Another industry that contributes to Charlotte’s success as a financial center is NASCAR. Charlotte is a major center in the US motorsports industry, housing multiple offices of NASCAR and the NASCAR Hall of Fame. 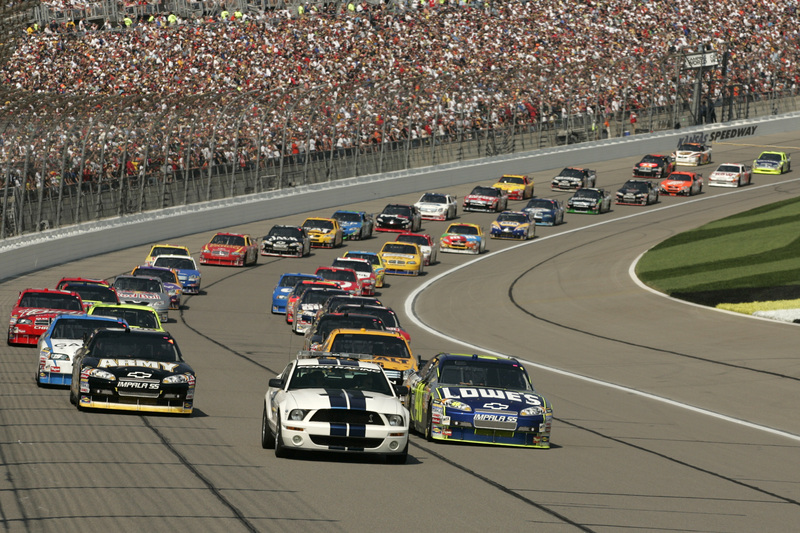 Approximately seventy-five percent of the NASCAR industry’s employees and drivers are based nearby. The large presence of the racing technology industry along with the newly built NHRA dragstrip, zMAX Dragway at Concord, is influencing other top professional drag racers to move their shops to Charlotte as well. The Metrolina Speedway is expected to bring more local racing along with a skate park, shops, restaurants and an upscale hotel (Charlotte, North Carolina). It is not surprising that Charlotte became a leading financial center. Many components have paved the way for Charlotte’s success, such as its concentration of financial institutions and resources that have made the Queen City the second biggest national financial center. Despite its focus on financial affairs, Charlotte also became one of the most appealing and successful cities in the nation because of its large diversity. While Charlotte may not rival such cities as New York or London yet, as times progress, Charlotte will continue to grow and rise to perhaps someday become the biggest national financial center. Harris, L. Worth, et al. Interview by Allen Tullos, June 11, 1980. Documenting the American South. University Library, UNC-Chapel Hill. Web. 25 Feb 2011. “Charlotte’s Got A Lot .” Charlotte History . Visit Charlotte, 2011. Web. 22 Mar 2011. “Charlotte, North Carolina – Lifestyle and Appealing Whereabouts.” Foreclosure Listings.com. Curts, Jason. “Charlotte Among Fastest Growing Cities in US.” Queen City: Charlotte, NC Real Estate News & Trends 01 Aug 2008: n. pag. Web. 27 Mar 2011. Fitzpatrick, Dan. “How Charlotte became a banking giant, outpacing Pittsburgh’s banks.” Pittsburgh Post-Gazette 25 Jun 2006: n. pag. Web. 27 Feb 2011. Grunwald, Michael. “North Carolina’s Financial Center is Riding High.” Time 25 Sep 2008: n. pag. Web. 27 Feb 2011. “Leading Financial Center.” Charlotte Chamber. Accrisoft Freedom, 2011. Web. 24 Feb 2011. Jennifer Carrizales is from Charlotte, North Carolina. She is a freshman who studies Psychology at the University of North Carolina.